Students who want to become a parole officer will be glad to know that there is a set application and screening process, according to the Bureau of Labor Statistics. Read on to learn the specific steps to becoming a parole officer. The first step in becoming a parole officer is to decide if this is a suitable career. A parole officer is a law enforcement specialist who works with recently released prisoners. They must monitor their parolee’s progress and ensure that they complete their legally mandated parole terms. Being a parole officer is a physically, emotionally and even psychologically demanding position. Parole officers must sometimes work with uncooperative parolees and in unsafe areas while interacting with ex-criminal offenders. Parole officers often have heavy caseloads with frequent court deadlines to meet. Parole officers must have strong physical endurance with solid emotional stability. Almost all states require that parole officers have at least an associate’s degree, but some states require a bachelor’s degree. The most common degree is in criminal justice, but some students pursue a degree in corrections, psychology or social work. Most degree programs are customized according to the state’s specifications for parole officers. A corrections or criminal justice degree will include classes that cover criminology, court systems and parole and probation. There will also be classes that introduce students to the juvenile, corrections, American prison and criminal justice systems. Students should note that a graduate degree is customarily required to get a job as a federal parole officer. Once students have a degree, they can directly apply for correction officer positions. Many cities and states require candidates to submit their resume and application online. Upon approval, they will be registered in a mass on-site proctored correction officer exam. The exam content will focus on corrections topics, such as firearms, defense tactics and correctional operations. Investigation procedures, caseload management and interpersonal communication skills will also be tested. Many of these exams contain both essay and multiple-choice questions. There may also be basic math, logic and writing and reading comprehension questions. 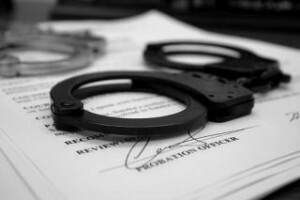 According to the American Probation and Parole Association, the highest scoring candidates will receive interviews and those who pass will move on to the paid training program. Some institutions require the training to be completed before reporting to work, while other institutions require parole officers to complete the program before their first year of employment. The training program curriculum will include academic courses in legal rights, security procedures, corrections concepts and emergency response procedures. There will be rigorous physical training to develop physical stamina and strength. Bear in mind that some cities and states require candidates to pass an arduous physical exam in conjunction with the written exam. Failure to pass academic classes and physical tests will result in dismissal, but those who pass will become a parole officer. Upon passing the training program, parole officers will be ready to help their clients re-integrate themselves in society. Parole officers must be assertive and self-confident, but also caring and patient.